It’s been a very long time since I posted a cleaning tip! I guess I’ve tried everything Pinterest has to offer I use my slow cooker all year, but it seems to get more use in the Fall and Winter when soups and other hearty meals like roasts are on the menu. I pulled it out tonight to get ready for lunch tomorrow, and it was gross! Something spilled inside the heating element and it was NOT coming off with soap and water. Plus, you can’t just fill up the sink and soak your slow cooker! 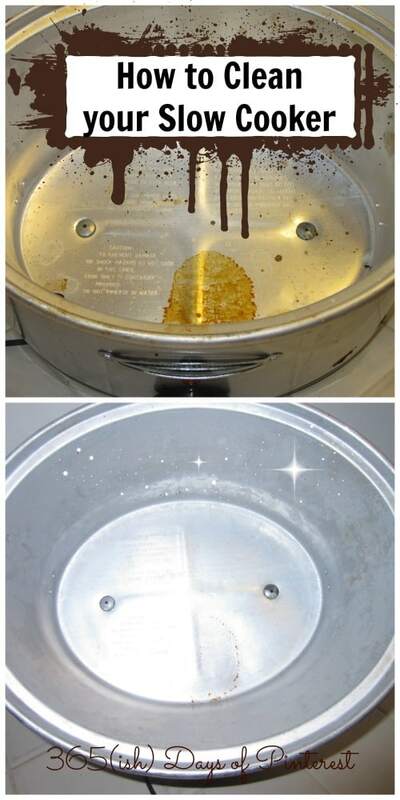 After scrubbing for a while, I remembered a pin I’d seen a while ago, and behold, this post was born: How to Clean Your Slow Cooker. Note: this is for cleaning your slow cooker’s heating element. The inside part, you know? NOT the actual “crock” from your crock pot. 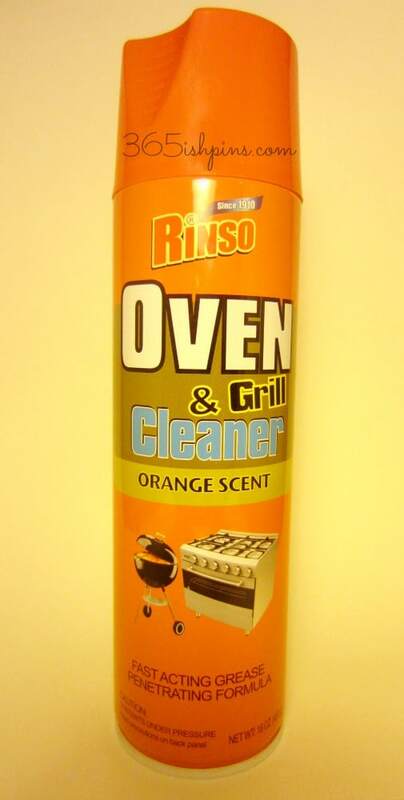 One can of oven cleaner. I got mine at the dollar store. Yay for cheap! Spray an even coat of foam around the inside of the cooker. You really should do this outside. I’m pretty sure I hacked up a lung after I inhaled some of the cleaner. Lesson learned. After you have a nice, even coat of foam, let it sit for a couple hours. I left mine outside and went to make dinner and eat. As we were cleaning up afterwards, I pulled it back inside to finish. So it was probably closer to ninety minutes. Then, just use a scrubby sponge to wipe out the foam! Everything but the most caked-on spot just wiped right off. The big yucky spot took some scrubbing, but it was WAY easier than when I was trying to clean it before. So there you go. Now that you know, there’s no excuse.